THIS is one of the most exciting jobs in Scottish journalism. STV already has the best breaking news service in Scotland. We want to make it even better. We are looking to recruit a digital intake editor. In other newsrooms this would have been called ‘news editor’, but this is much more than your average newsdesk job. We are looking for someone who can supervise a team of online reporters across four newsrooms. You’ll commission breaking news stories before the rest of the media catches up. You’ll be able to spot a story and instinctively know the most interesting, compelling angle. You’ll understand social media is about more than clickbait. It’s a role for someone with new ideas, good communication skills and the ability to shape an enthusiastic team. We are completely reworking the way STV gathers and produces news. This role is based in Glasgow and you’ll work on a newsdesk bringing together Scotland’s best news and current affairs programmes and leading online service. * Assist in any other aspects of the work of the company as reasonably required. * Make instant decisions on the law, ethics and regulatory framework required for digital journalism. It’s an exciting time for STV News online. We are already established as Scotland’s leading commercial news service, producing content for five million users every month. We are about to re-launch our news services. 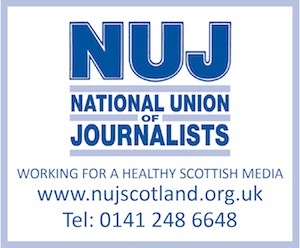 If you would like to play a part in one of the biggest and most exciting new projects in Scottish journalism, we’d love to hear from you. Early applications are encouraged and due to the anticipated high volume of applications received only candidates who have been shortlisted for interview will be contacted further in this regard.